Here's the 4th TV promo for Cho Super Hero Taisen feat. 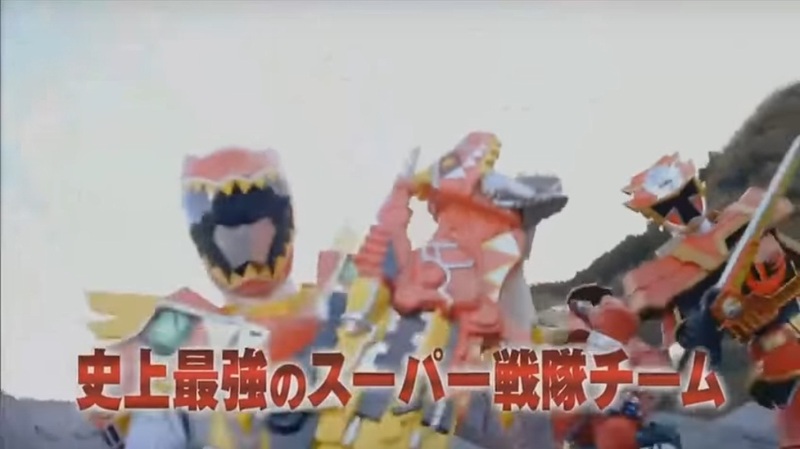 Team Ultimate Red that comprises of Gokaired, Go-Buster Powered Custom, Kyoryured Carnival and Hyper ToQ-1 and the Kyurangers! "Team Ultimate Red" but no ShinkenRed? Pass. Can't create an ultimate red team, without the ultimate red.